VITKAC’s collection of mom’s accessories is a brilliant suggestion of what a new mother will need. Blankets, duvets and stroller bags are among the products we offer. Our range of products will suit both mother’s and newborn baby’s taste. It is a well-known fact that children love patterns and colours. If only they could, they would choose for themselves those children's clothes that stand out with original graphics, unique cuts or a distinctive combination of colours. That is why kids clothes in our online shop are joyful, multi-coloured and designed for small but very demanding customers. Clothes for children must be, first of all, comfortable, easy to use and made of high-quality materials. Fashion for children is ruled by similar laws as that for adults, so our clothes follow the latest trends and stand out from other designs. They are also practical and universal, since they fit to every day outfits as well as for the exceptional occasions. 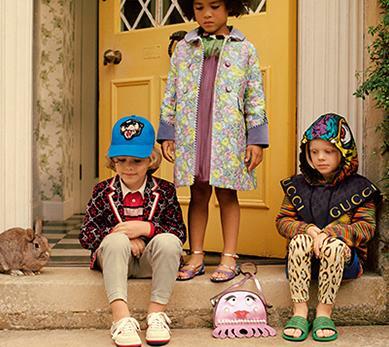 Girls' dresses can be matched perfectly with girls’ bags; it is also easy to combine a variety of accessories for boys, which boost an outfit. The look is always fashionable, stylish and, most importantly, appeals to the tastes of young fashion lovers. Among our products, you will find fashionable clothes for children of all ages, fitted to their needs, preferences and development. The sense of style and personal taste is shaped from an early age, so we know how important it is for the kids clothes to be designed in a creative and original way. Girls' dresses and skirts provide lightness, and charm, while kids suits with sweatshirts and t-shirts for boys stimulate their imagination and emphasize their individual personality. Kids designer clothes from our offer have been designed by the best fashion creators. 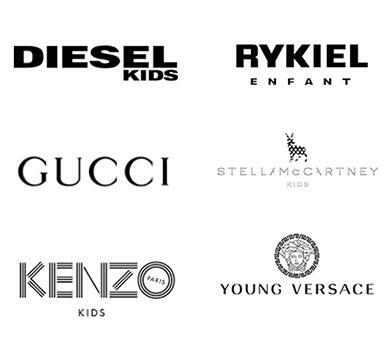 Kenzo Kids, Sonia Rykiel Kids or Versace Young are only few brands out of many fashion houses’, which products we present with a huge pleasure in our shop. Every single piece of children's clothing has been designed for active, joyful, energetic children, who feel and love fashion from an early age. 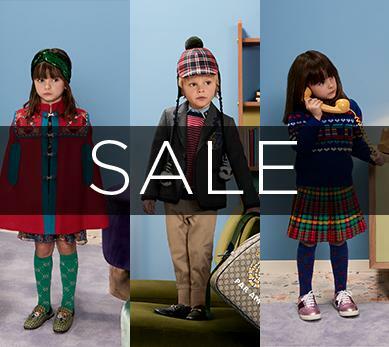 Check out our kids clothes online offer and take advantage of kids clothes sale!